Arkansas Agriculture’s Forestry Commission is now accepting applications for the 2019 Shade Trees on Playgrounds (STOP) program through May 3, for schools needing additional shade on playgrounds. Selected schools will receive five shade trees, mulch, watering supplies, and planting guidelines. 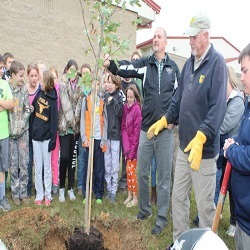 Officials with the Arkansas Forestry Commission (AFC) will help plant the trees during a ceremony with students in the fall. The STOP program application and program guidelines can be found here. Urban forestry staff began the STOP program sixteen years ago to help lower adult skin cancer risk by reducing childhood exposure to direct sunlight on school playgrounds. Since then, more than 100 Arkansas schools have received trees. The STOP program also provides teachers with a full curriculum about the environmental benefits of trees, how shade reduces skin cancer risks, and tips for keeping trees healthy. Learn more about urban and community forestry services and programs, here. The Arkansas Agriculture Department is dedicated to the development and implementation of policies and programs for Arkansas agriculture and forestry to keep its farmers and ranchers competitive in national and international markets while ensuring safe food, fiber, and forest products for the citizens of the state and nation. Visit www.aad.arkansas.gov. 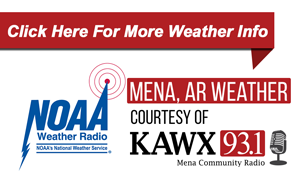 © 2019	KAWX, Community Radio Inc.